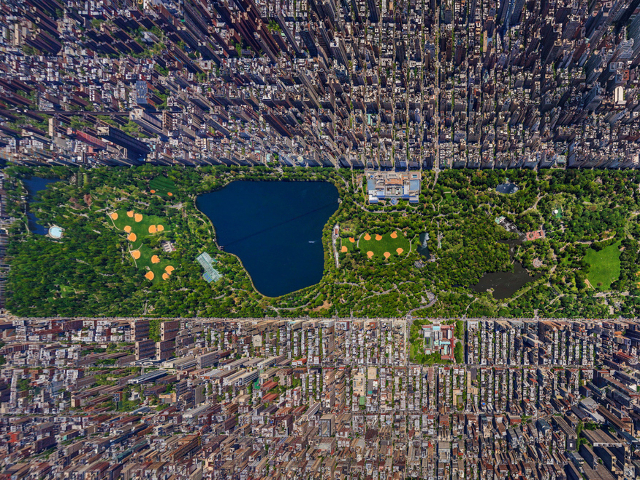 Central Park from above. Photo by Sergey Semenov. Green space isn’t the only aspect of an urban landscape we can view from above. These overhead shots tell critical stories about road safety, the scale of public spaces, and the footprints of our cities. Cities with strict planning regulations preventing sprawl are surrounded by beautiful scenery and fertile farmland. These cities, though tightly packed, stop at the edge of the city limits. Nördlingen, Germany is a perfect example of this kind of planning. More often, cities lack these kinds of regulations, and the city sprawls out, as far as the bird’s-eye can see. In some regions, where urban sprawl is unintentionally encouraged by the current planning regulations or legal system, sprawl is the most striking quality of the overhead view. 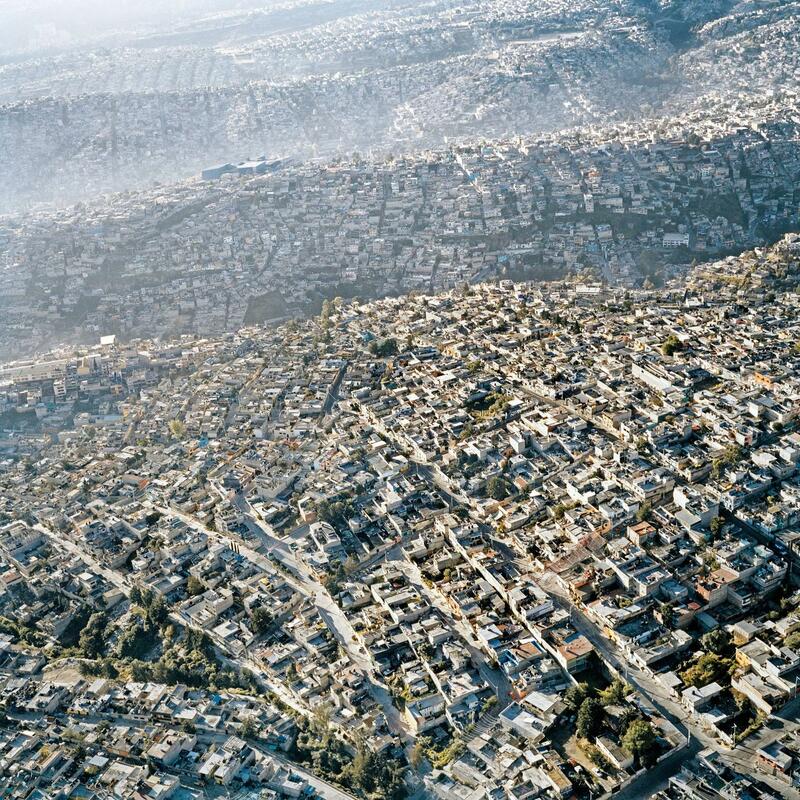 Take this image of Mexico, for instance, which crawled to the front page of Reddit several months ago, startling viewers with miles of houses. 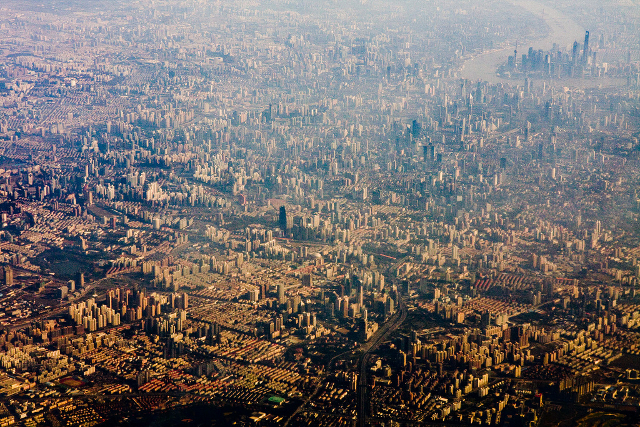 Or the image of Shanghai, below, showing a city that has exploded outward over the past two decades. In the upper right hand corner, you can see the bund, Shanghai’s most famous landmark which looked drastically different twenty years ago. Shanghai has grown both upward and outward. Shanghai from above. Photo by Mike Hedge. 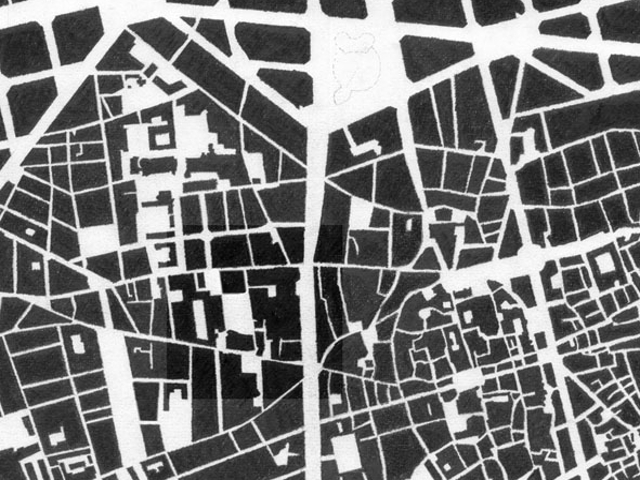 Some cities, when viewed from above, demonstrate a beautiful geometry, such as Pierre L’Enfant’s adapted grid of Washington D.C. But studies have shown that long boulevards and wide, straight streets are more likely to lead to fatal accidents. Barra da Tijuca, a modern borough of Rio di Janeiro, features uninterrupted boulevards and wide streets – the worst kind of design for road safety. Just by peering at Barra da Tijuca from above, we can make an educated guess about the road safety conditions down on the ground. The scale of the city is built for cars, not people. From above, some cities feature winding streets and pedestrian-scaled spaces, as shown in To Scale. Image by CUA. But one does not need to be an urban planner to appreciate the diversity of our cities, and the range of information we can gather by looking at our cities from overhead. The next time you are in a familiar public space, think about what it might look like from above. Would pedestrians be dwarfed by the footprint of large buildings? Would you be able to see the city limits? Consider how long it would take someone, flying high above the city, to come across a public green space where citizens could enjoy the city they call home.